This new Royal Mansour cotton eyelet fabric is a custom lace inspired by photographs from LSF’s Creative Director's trip to Marrakech. 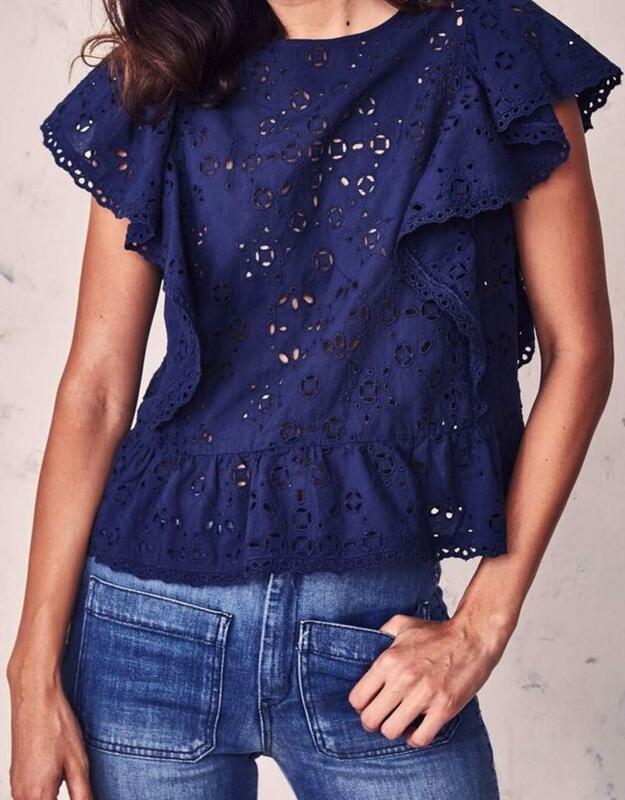 Cut from airy cotton, this design features eyelet embroidery with a delicate peplum at the waist. A playful flutter sleeve cascades into ruffles down the back of the top. Pair it with your favorite jeans. 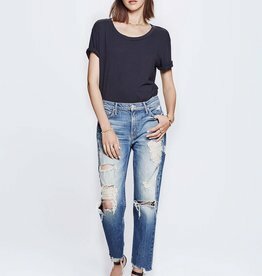 Model is 5'10" / bust 32" / waist 22" / hips 36.5"